Either way, it’s a big milestone this week for scientists eager for Curiosity to begin drilling again, this time into potentially clay-rich rocks on the slopes of Mount Sharp. The six-wheeled rover has traveled 11.6 miles since its arrival in 2012. 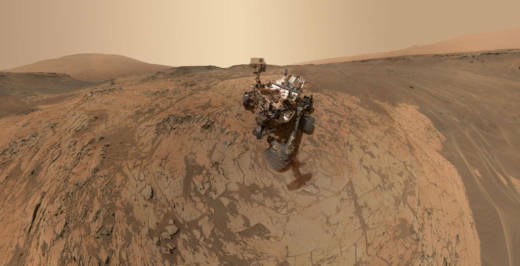 Curiosity’s flight controllers, meanwhile, are testing a new drilling method. The rover’s drill stopped working properly in 2016, and so engineers devised another way to bore into Martian rocks and get the pulverized rock samples into the rover’s lab instruments.